RAJINIKANTH REVEALS HIS LOOK FOR HIS 161ST FILM? We had reported recently about the initial photo shoot of Superstar Rajinikanth's next with director Ranjith. Simultaneously, there has been a talk about Rajinikanth's look for the film after he sported a classic beard like the one in Kabali. 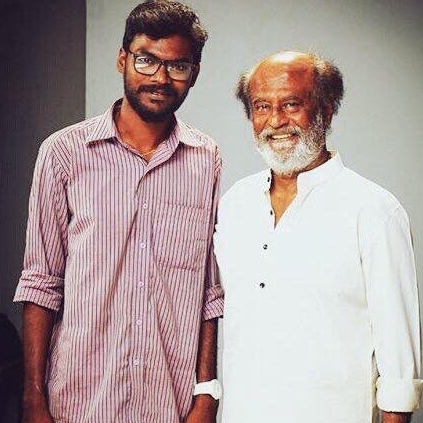 Rajini has made many public appearances in the past two months, and towards the later part of it, we have seen him sport a thick beard again. Even after the photo shoot that was held for his next, he has attended the meeting with his fans today, by having the same beard. So has Rajinikanth given it away that this will be his look for the Ranjith project? He is touted to play a character of his actual age, and he is also expected to carry a wig along with this beard as he usually does. There are numerous talks and speculations about the plot of this project, some of which have also been strongly denied by the team. The shooting for this film is all set to commence on the 28th of May, and since the initial photography is also completed, we can also expect the first look very soon. Let us hope for the best from the unit.